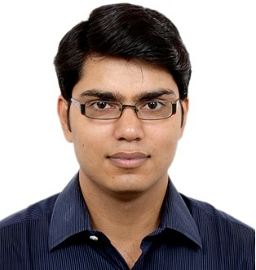 Dr Abhishek Kumar is an Assistant professor at the Department of Civil Engineering, IIT Guwahati since May 2014. His research areas include seismic hazard, ground motion simulation, ground response analysis, mapping of extreme earthquake events, identification of regional & local characteristics controlling the damage scenario, liquefaction hazard assessment etc. He has obtained his PhD degree from IISc, Bangalore in the area of Seismic Microzonation. So far, one PhD, 5 Mtech and numerous Btech works have been completed under his supervision while many more are under progress. He has authored more than 25 papers in international reputed journals such as Natural Hazards, Soil Dynamics & Earthquake Engineering, Journal of Seismology, Pure & Applied Geophysics etc. He has also presented his work at various national and international platforms such as, 16th World Conference on Earthquake Engineering at Chile. He has received several awards including Young Engineer Award 2015 from INAE as well as Institution of Engineers, India. He is also recipient of INSPIRE Faculty Award 2014 from DST. At presently, he is handling research projects from DST, Ministry of Earth Sciences and Nuclear Power Corporation of India, limited.